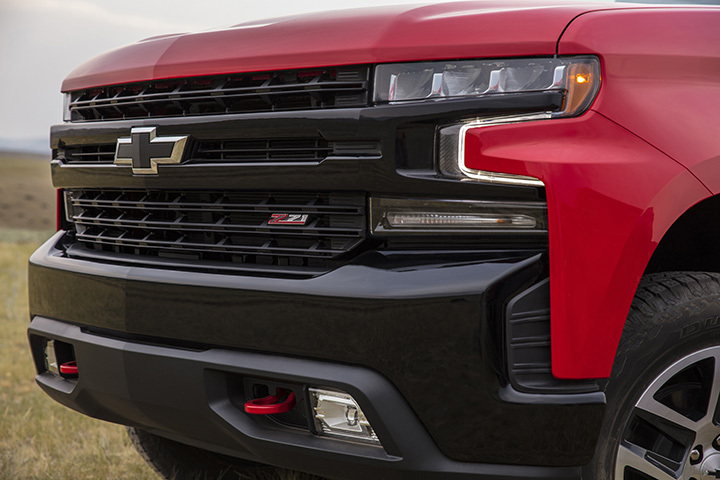 All models introduce a modern, powerful design with a strong dose of Chevy Truck DNA. 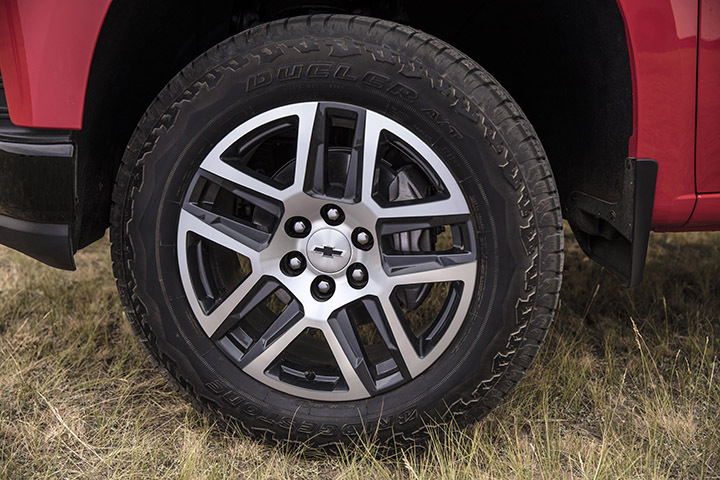 For example, the CHEVROLET name stamped on the tailgate recalls iconic Chevy trucks of the 1950s and ‘60s, while the integrated dual exhausts and up to 33-inch tires reflect modern customer preferences. The Silverado’s bold, modern design is also surprisingly aerodynamic. Key elements of the front grille are front functional air curtains, like those introduced on the sixth-generation Camaro, that reduce aerodynamic drag by routing air around the front wheel wells. The powerful side profile further enhances aerodynamics, including an integrated spoiler at the rear edge of the cab that directs air onto the tailgate lip, reducing wind drag from the bed. 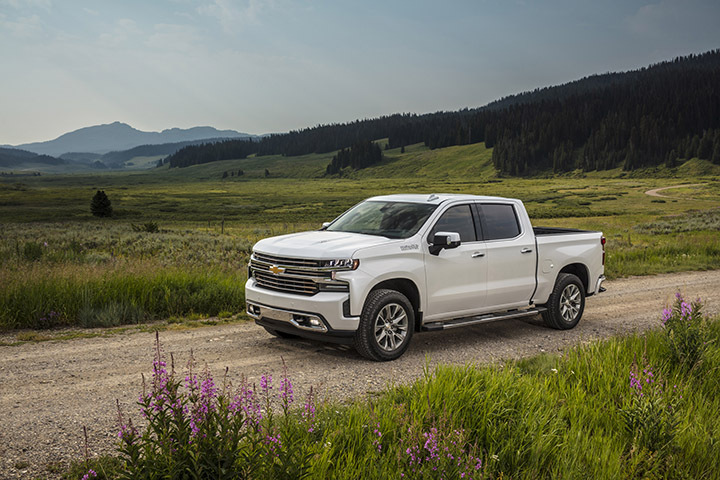 For 2019, the Silverado is larger than before, including a wheelbase that is up to 3.9 inches longer and an overall length that is 1.6 inches longer, enabling both more cargo volume and more interior room for all cab lengths. Remarkably, it’s also lighter, weighing 450 pounds less than today’s truck when comparing crew cab V-8 models. Accordingly, the cab has been stretched, with crew-cab models now offering 3 inches of additional rear-seat legroom for an impressive 44.5 inches of front legroom and 43.8 inches of rear legroom; New available storage options include two 10-liter bins integrated in the second-row seatbacks for holding small items like gloves or tie-down straps, as well as a large 24-liter storage tray under the second-row seat that can secure everything from gallons of milk to fishing rods and tackle boxes. Every surface has been designed for function and ergonomics, from the rotary knob textures to the infotainment screen angle. 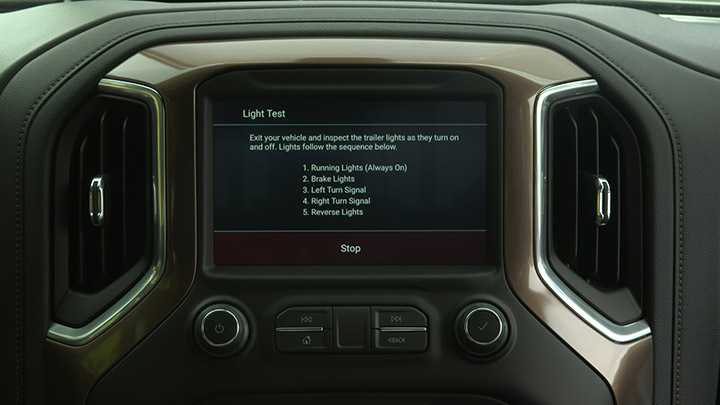 Even the luxurious High Country is subjected to stringent durability tests; The Silverado was already the first pickup to offer 4G LTE Wi-Fi connectivity, Apple Car Play, Android Auto, wireless phone charging and OnStar safety and security features. 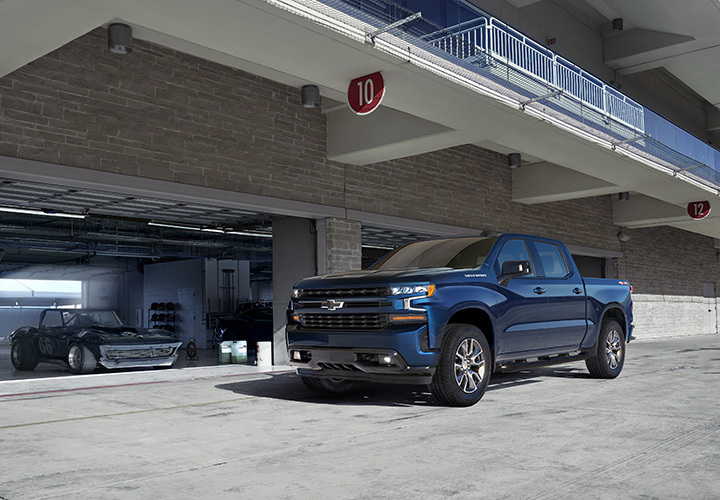 The 2019 Silverado will be available with six engine/transmission combinations, giving customers more combinations of performance, efficiency and value to best fit their priorities. This includes new 5.3L and 6.2L V-8s with Dynamic Fuel Management that actively shuts off any number of cylinders, in a variety of combinations, depending on immediate needs to optimize fuel economy. The result of this technology is instant power when called for, and impressive efficiency. The 5.3L V-8 with DFM is SAE-certified at 355 horsepower and 383 lb-ft of torque and is matched with a Hydra-Matic eight-speed automatic transmission. The Silverado will also be available with an all-new Duramax 3.0L inline-six turbo-diesel. Both the 3.0L diesel and 6.2L engines are paired with a new Hydra-Matic 10-speed automatic transmission as well as start/stop technology to improve fuel economy for optimum performance and efficiency, the 6.2Lwith DFM, the largest and most powerful gas V-8 in the segment is SAE-certified at 420 horsepower and 460 lb-ft of torque. • Work Truck features “CHEVROLET” graphic across the grille and tailgate, blacked-out trim and 17-inch steel wheels for maximum durability. The interior features durable vinyl or cloth seats and 7-inch color touch screen. • Custom features a body-color styling theme, 20-inch painted aluminum wheels, LED signature taillamps and available integrated dual exhaust. • Custom Trailboss. 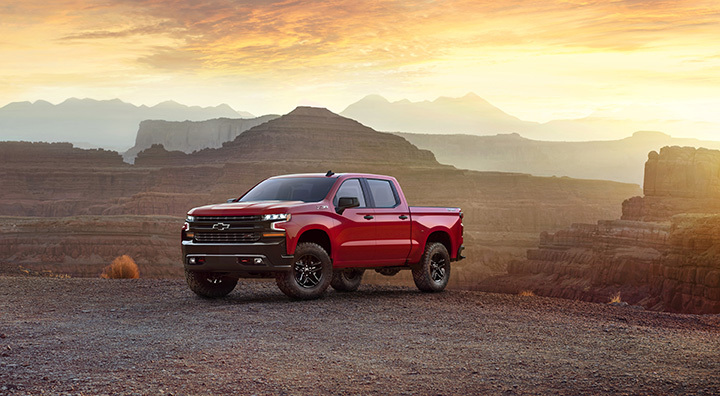 new for 2019 adds off-road equipment to the Custom, including a 2-inch suspension lift and the Z71 Off Road Package with a locking rear differential, skid plates, Rancho shocks, 18-inch wheels and Goodyear Duratrac off-road tires. • RST new for 2019 brings a street-performance appearance to the LT, with body-color trim, full LED lighting (foglamps, headlamps and taillamps) and up to 22-inch wheels with all-season tires. 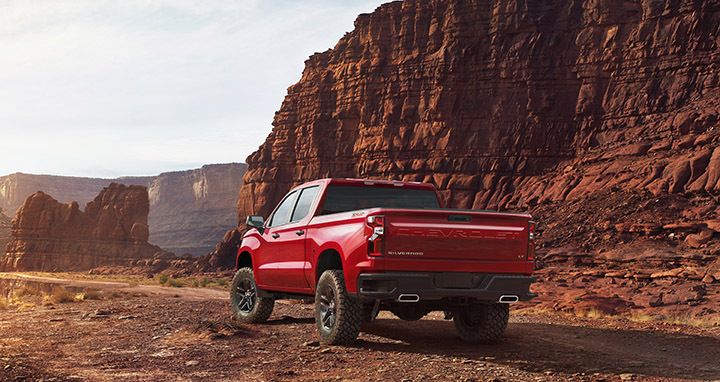 • LT Trailboss new for 2019 adds off-road equipment to the LT, including a 2-inch suspension lift and the Z71 Off Road Package, including locking rear differential, skid plates, Rancho shocks, 18-inch wheels and Goodyear Duratrac off-road tires. • LTZ features chrome accents on the bumpers, front grille, mirror caps, door handles and hockey-stick beltline as well as power folding and heated outside rearview mirrors. Leather interior trim is standard equipment. • High Country features an exclusive front grille design with two-tone chrome and bronze finish, body-color accents plus chrome assist steps from wheel to wheel. It also includes the power up/down tailgate as standard equipment. 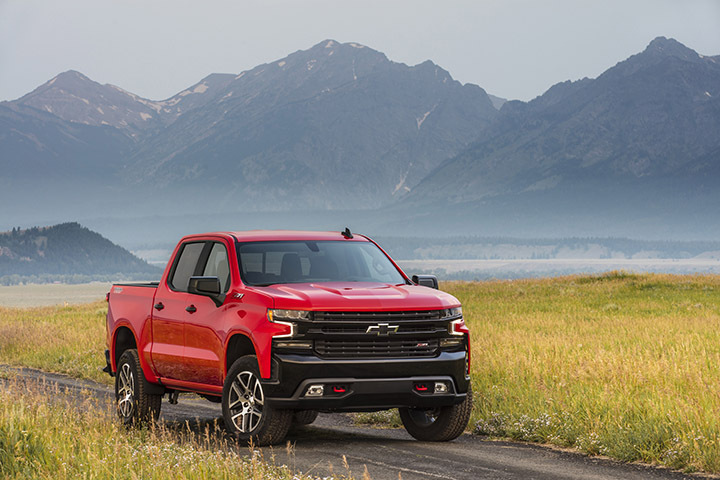 The 2019 Silverado offers the most cargo volume in every bed length, with the short-box offering 63 cubic feet of volume up to 20 per cent more than a competitor’s short-box. Most of that volume was created by widening the maximum width of the bed floor nearly seven inches. With class-leading cargo volume and class-exclusive features, the new Silverado offers the most functional bed of any full-size truck, and more convenient hauling for cargo of virtually any size or shape. The Estimated fuel economy is rated at 15 mpg City and 20 mpg Highway with the 5.3L V8 EcoTec3 Engine and the 8 Speed Automatic Transmission. 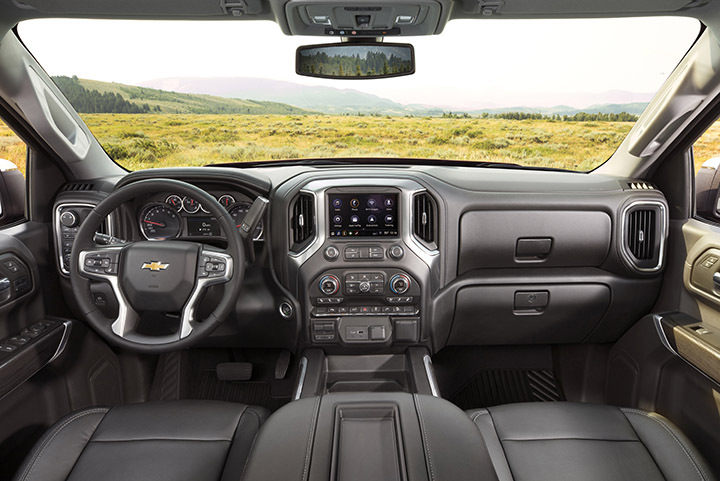 Manufacturer’s suggested starting retail price starts at $48,300.00, for the 2019 Chevrolet Silverado 4WD LT TB Crew, the one I drove included: The Convenience Package with bucket Seats $1,655.00, Convenience Package II $$1,420.00, Leather Package $985.00, Off Road Assist Steps $895.00, Safety Package I $890.00, Bed Protection Package $635.00, Trailer Brake Controller $275.00, and the Advance Trailering Package $240.00, and it came in at $56,790.00 including destination charge $1,495.00. Posted in CAR REVIEWS, Chevrolet.